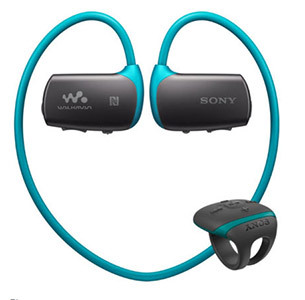 The Waterproof Walkman is not just a great gift for runners and gym bunnies, but also for those who enjoy listening to music while doing laps in the pool. Available with 4GB capacity and up to eight hours of audio playback, the Waterproof Walkman makes it convenient for users to carry more music with them wherever they workout. A ring control makes the Walkman easy and intuitive to operate while on the move.